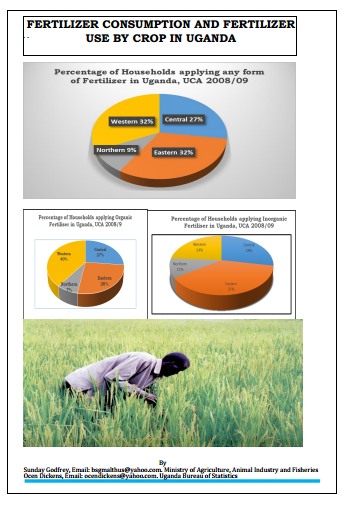 This document is a Ministry of Agriculture, Animal Industry and Fisheries ‘s survey on the assessment of fertilizer real consumption and use by crop in Uganda in 2013. According to the survey, in 2013, a total of 53MT of fertilizer was imported into the country with approximatively 97% used for agriculture. In the last 5 years, export quantities from Uganda were highest in 2013 with a total of 633 MT. 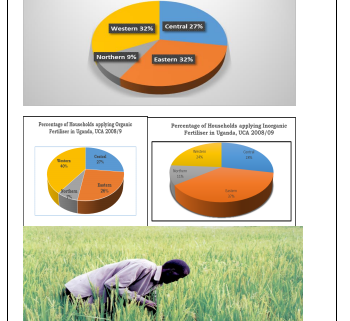 The total area under the main selected crops was 6.2 millions Ha of which 2.8% was fertilized accross the country. A total of 53 MT of fertilizer was used which translates to about 0.85kg per Ha nationally and 30 kg per Ha on fertilized soils.